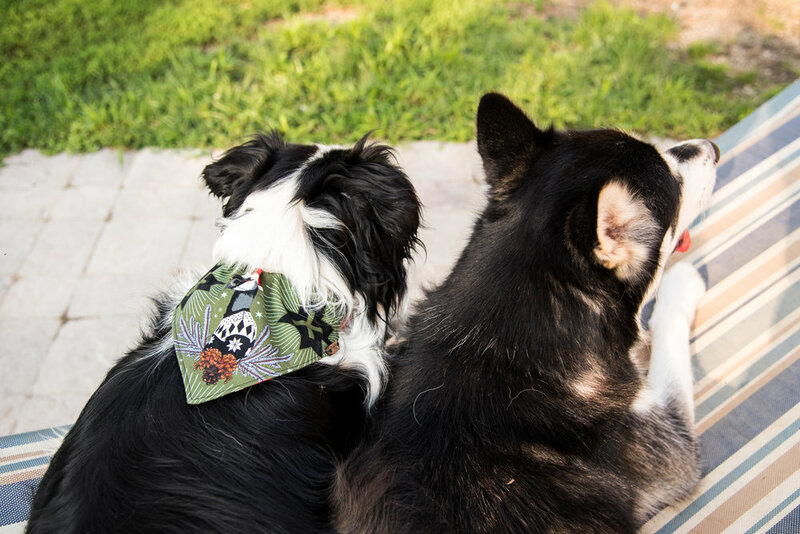 I got the opportunity to capture Playful Fox & Co.’s newest over the collar bandana. Yes this bandana is super adorable with an ostrich wearing an ugly Christmas sweater, glasses, and a Santa Clause hat! How cute? It is super durable and made SO WELL! Her website is super cute and clean too, if you are looking for DOG or CAT accessories and toys! 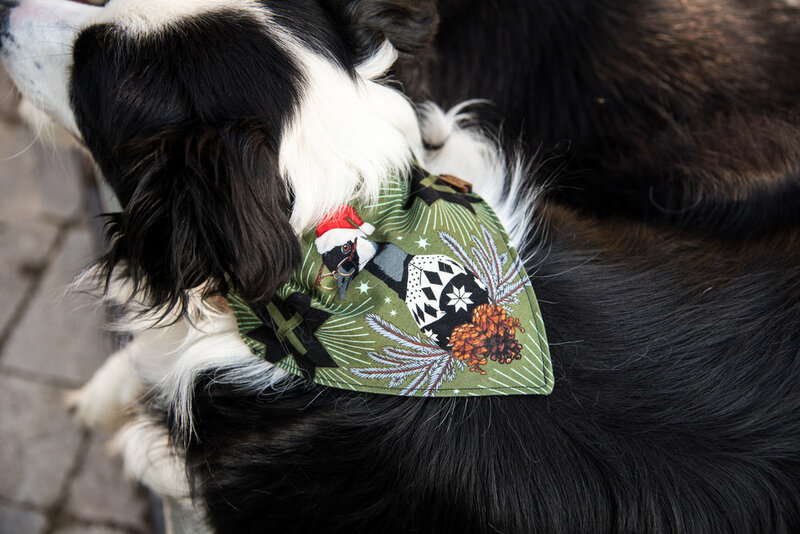 Shop this bandana and other DOG & CAT Accessories & Toys Here! Kip whispering into Carbon's ear, "HAHA I have a cool ostrich bandana and you don't."